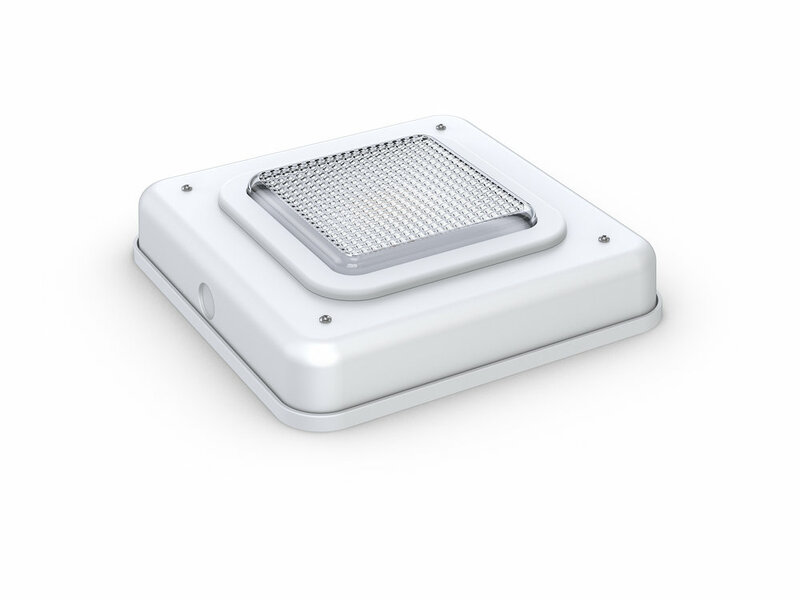 The CES1 Economy Series LED Luminaire incorporates a high density array into a small 10” X 10” X 2.71” luminaire housing that is unobtrusive in appearance but high output in use. A custom low glare lens provides comfortable lighting for pedestrians and customers in bank- ing and food service drive-thrus as well as entryways, stair-wells and covered walk paths. Lightweight and small for easy installations. A low profile design with a pendant and surface mount built in design and three standard colors to choose from provides a clean, modern look for your site. This simple yet precisely designed fixture generates up to 6,200 lumens.